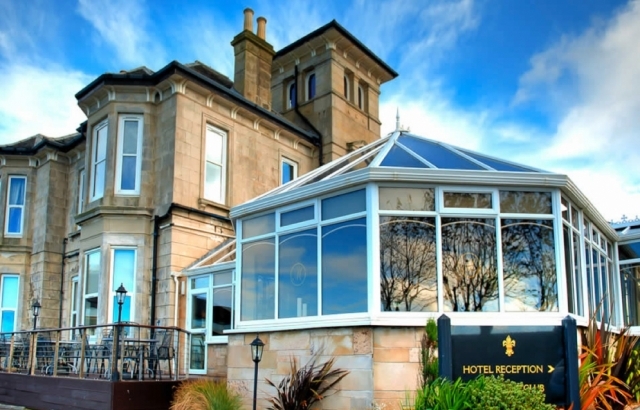 The Fairfield House Hotel sits in a picturesque seafront location in Ayr in the heart of Robert Burns country with spectacular views across the waters of the Firth of Clyde to the Isle of Arran. 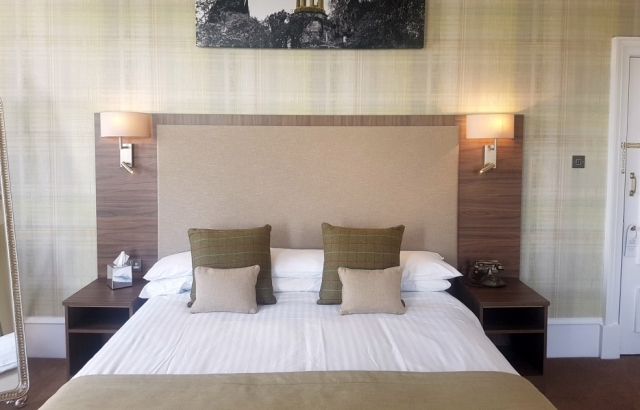 Sumptuously furnished and appointed, Fairfield House Hotel offers the luxurious yet comfortable hospitality of the traditional Scottish country house. 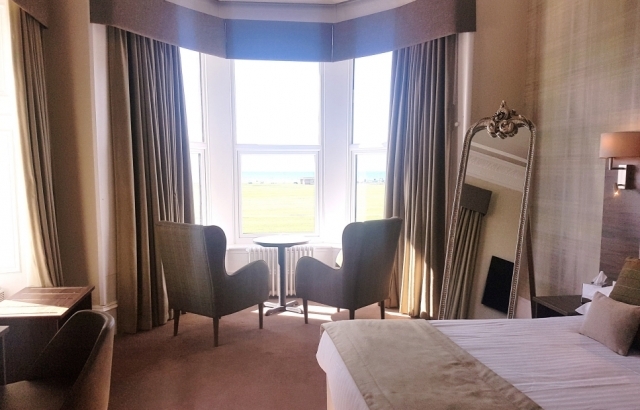 The many attractions of Ayrshire such as, Culzean Castle, Robert Burns birthplace and the Burns Monument and Gardens, Ayr racecourse and of course the several well-known golf courses are all within a short drive. 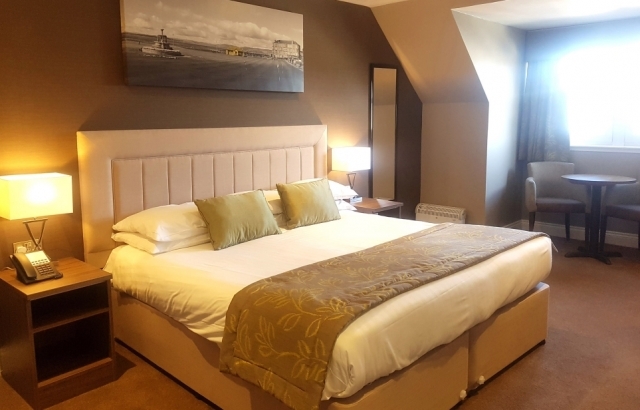 All the 44 en-suite bedrooms are beautifully furnished and decorated. 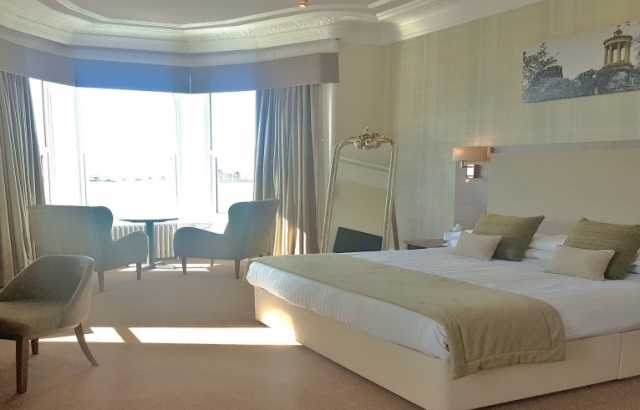 A mix between the classic suites, standard doubles and modern executives provides guests with a unique choice to suit their needs and if you get the chance stay in the luxurious Carnegie Suite with its four-poster bed and jacuzzi bath. The rooms have all the amenities you need. The restaurant, lounge, bar and decking area were transformed with a refurbishment and the hotel now boasts a modern and comfortable dining and relaxing area which is ideal for corporate, relaxed or formal dining with excellent cuisine, the restaurant has an AA rosette, from locally sourced food and matched by an excellent range of wines. 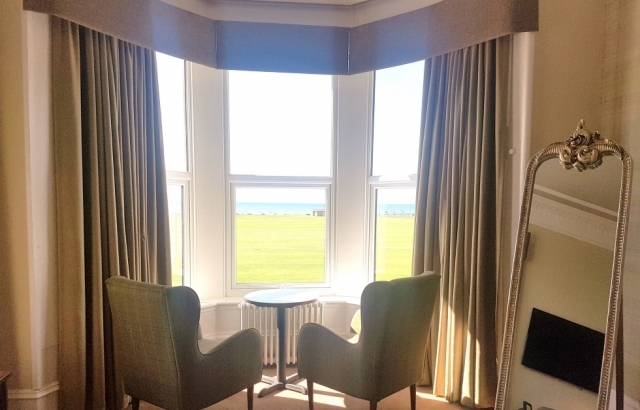 In the warmer months, al fresco dining and drinking is available on the terrace which has stunning sea views over to Arran. The ambience of these areas is completed by artworks from Peter Howson and Frank McFadden. 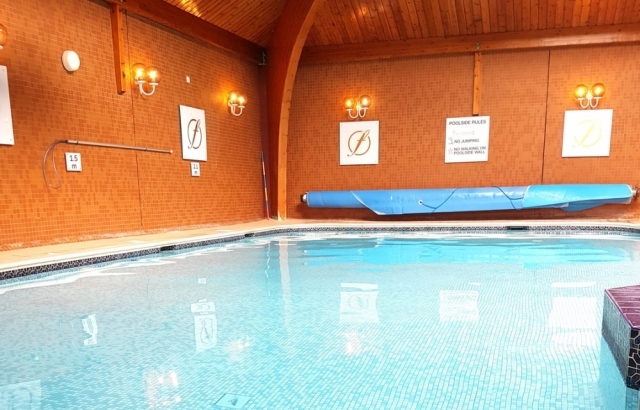 Hotel guests enjoy complimentary use of the Leisure Club with its large pool, sauna, steam room and gym area. 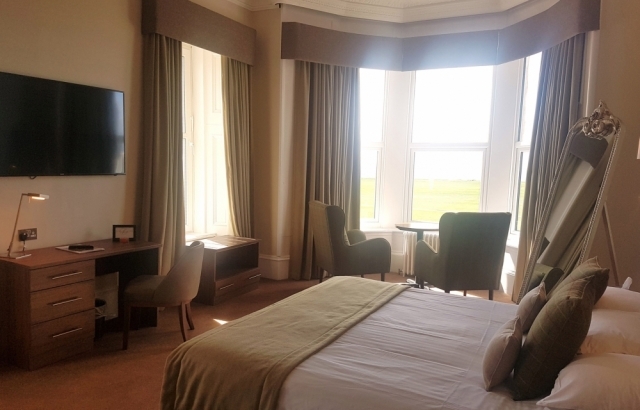 For those looking to organise an event the Fairfield Suite and the Boardroom for the smaller meetings offers splendid surroundings and the Hotel’s dedicated team aims to provide you and your guests with a great experience. All the Team work hard to give every guest an enjoyable stay and wanting to come back to this great Hotel.